Alleging "discrimination" against the opposition parties while giving coverage on Rajya Sabha TV, the Congress on Wednesday urged the House not to convert the public broadcaster into BJP's TV. "Its a serious issue. All the political parties should be given proper coverage by the Rajya Sabha TV. Around five minutes of Derek O'Brien's speech was not telecast on the Rajya Sabha TV. 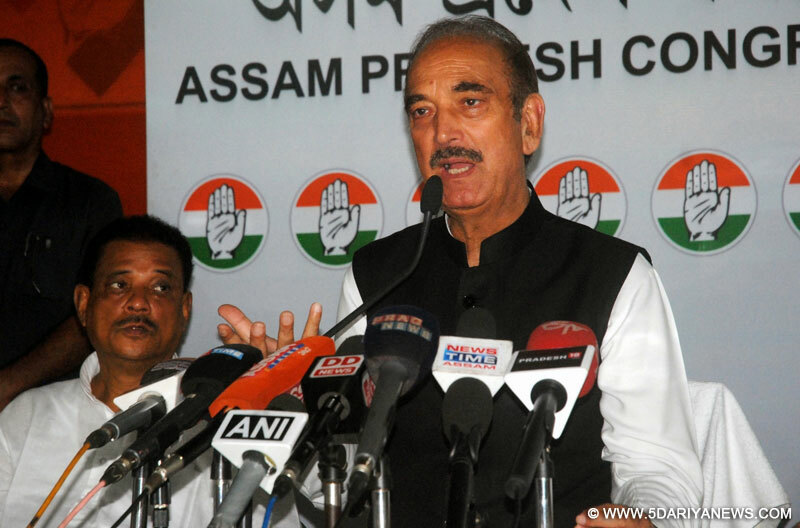 "This is Rajya Sabha TV, do not make it BJP TV," Leader of Opposition in the Rajya Sabha, Ghulam Nabi Azad, said in the Upper House.Azad's remarks came soon after TMC member O'Brien alleged that the first five minutes of his speech on Motion of Thanks on the Presidential address was blacked out by Rajya Sabha TV.Raking up the issue through a point of order, O'Brien said Rajya Sabha TV stopped the broadcast of his speech.Azad, later, demanded an inquiry into the matter by panel of all-party representatives. "I was watching Rajya Sabha TV on Monday night and I found that 98 per cent coverage was given to BJP President Amit Shah's speech while opposition's parties view were aired only for 16 seconds. "Don't do this. The matter needs to inquired by the all-party representatives," Azad said.On Tuesday Samajwadi Party member Naresh Agarwal had alleged that the Rajya Sabha TV has become Bharatiya Janata Party's TV.